Reader Survey: What content do you want to see? Hello followers and readers! I wanted to take this time to do a survey and ask everyone what type of content they want to see more of (or less of), as you all are my audience. I want to ensure that I’m continually creating engaging content that you all are excited to read and share with our community. It should only take about X minutes to complete the survey after reviewing the samples. It should take about 15 minutes to complete the survey. Thank you so much for your time and participation! 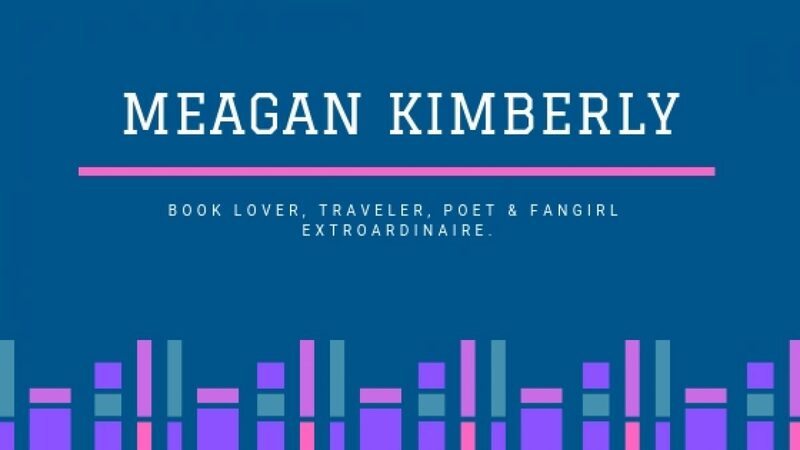 Author Meagan KimberlyPosted on April 15, 2019 April 16, 2019 Categories UncategorizedTags surveyLeave a comment on Reader Survey: What content do you want to see? It’s hard to feel the confidence to say you’re a writer. I often said I like to write, but never really said I was a writer. Even when I started writing a book, I still didn’t call it a book. I called it a story or manuscript at most. Recently though, the more I write and the more people ask what I’m working on, I started saying, “Oh, I’m writing a novel.” The first time those words came out of my mouth without any hesitation took me for a loop. When had I made the tranistion from hobby writing to writer? As I think about the transition, I realize it didn’t happen overnight. In fact, it took place over the course of years of honing my craft and practicing the skill. It started as, I like to write, then changed to, I am writing stories and poems, until eventually it turned into I’m working on a manuscript. The day I first said out loud, “I’m writing a book,” I knew I had arrived at the next phase. I am a writer. What a thrilling and yet nerve-inducing feeling it was. To speak the words, “I am a writer,” is no small feat. Ridding myself of the imposter syndrome has taken years, nay, decades, of hard work. Others may never publish anything at all and consider themselves writers. That’s great. The truth is, only you can define yourself. If you want to call yourself a writer, then you’re a writer. Don’t let others’ expectations or standards sway you from your path. What about any other fellow writers out there? When did you start to consider yourselves “real” writers? What does being a writer mean to you? Let me know in the comments! The next stop on my tour of Ireland back in March 2017 was the town of Killarney. This was somewhere between a small town and a big city, so, suburb. Strolling through the square at night with my new friends felt like I’d been doing that my whole life. In the morning, our tour director arranged for horse carriage rides through a nearby park. We bumped along the gravel road right next to the cars driving on the street, locals on their way to their daily lives. By now, our group was accustomed to the cool grey skies with flurries of drizzles. The cold no longer digs into our bones, at least, for us Floridians. Instead, the sting of the cold air refreshes and wakes us up. Even out in the suburbs, Ireland proves to never lack any green. The carriage ride took us through a park forest covered in moss and mud, following the gravel path created by modern-day citizens. Of course, it wouldn’t be Ireland without a visit to another crumbling castle. Fortress remains are scattered throughout the country, making it a land perfect for those who love the fairytale aesthetic. Even the lake nearby with swans feels like a picture straight out of a Disney movie. There are tourists walking all along the grounds, but I imagine at night it would be emptier, making it prime real estate for a story about a haunting. The next stop in Killarney is the Red Fox Inn, famous for its Irish coffee. This was probably one of my favorite moments of the entire trip. At 7 a.m., I was served black coffee poured over whiskey, and topped with frothy cream. From the first sip I found myself thinking, “Now this is how you should wake up every morning.” There’s something to be said about sharing an early morning coffee and liquor with a group of strangers who are for the time being your best friends. As we continued our trek around the Ring of Kerry, we encountered the brightest, bluest, and sunniest day in Ireland, stopping by the beach. It’s not what this Florida girl expected when I was told the beach, but it was beautiful nonetheless. I also took a rock and snuck it through airport security on the trip back (shhh!). The bus ride around the Ring of Kerry took us through rolling hills of green, well, mountains really. The Macgillycuddy’s Reeks mixed with the brisk Irish weather and gray skies was a sight to behold. The country has so much beautiful scenery to offer, each day in the Emerald Isles made it harder to look forward to my trip back home. One of the last stops before leaving County Kerry was the Killarney National Park. We only got to spend a couple of hours in the magical forest, but it is a hiker’s dream. Just a few minutes viewing the spectacular Torc Waterfall was enough to inspire a spirit of adventure that leaves me longing for more. For more posts about my trip to Ireland, see the following links: 1, 2, and 3. If any of you have ever traveled Ireland, let me know in the comments. What were your favorite highlights? If you haven’t gone, which of these sights do you want to see? I picked this book up for black history month and finished it just before February ended. Americanah tells the story of Ifemelu, a Nigerian woman growing up in Africa with some of the same concerns as most teenagers, and some not so common. As she navigates her youth and becomes a college student, the constant protests and walk-outs from the schools’ faculties makes it hard for her and her friends to get an education. She decides to go to America, leaving her high school sweetheart Obinze behind. This novel is not told in chronological order, but that’s the base storyline from which all the other events and moments that take place are founded on. The book takes on the Herculean task of addressing numerous sociopolitical issues, from race to feminism to sexual assault to class to culture and so much more. While the material sounds heavy and overwhelming, Adichie’s writing is so precise and focused, that it never feels like it’s all over the place. The story itself doesn’t take on a linear structure, but its commentary and social elements are clear and articulate. Even when the protagonist is working through the issues herself, Adichie’s development of Ifemelu’s feelings and actions in regards to them feels like real life. Sure, the characterization conveys the sense of a messy human being, but the writing itself is never a mess. The events throughout the novel are broken up by posts that Ifemelu writes for her blog, each one relating to the particular scene happening at the moment. It was interesting to see the character’s introspective moments take place in this format, as it presented her thoughts, feelings, and opinions in a cohesive manner that couldn’t be conveyed by the narration. One of the salient points that stood out to me is that Ifemelu is often irked by displays of false identities. She doesn’t care for two-faced people, and yet in participating in her blog that sends her into internet fame, she too wears a mask. This hypocrisy might make for an unlikeable character to some, but for me personally, I found it realistic and just plain human. Of the many issues touched on in this novel, its handling of mental illness and how it is perceived in other cultures stood out. The basic understanding brought to light by the African characters surrounding Ifemelu is that mental illness and conditions are fake diseases made up by white people. When Ifemelu experiences anxiety and depression, her best friend Ginika recognizes the symptoms and talks to her about it. Ifemelu’s Aunty Uju though, from an older generation, says it’s just another made-up disease created by the quirky American doctors who think everything is a disease. The split between generations and cultures creates a striking picture of how “Americanized” those who emigrated have become. However, they are still seen as foreigners and outsiders in America, but when they return to Nigeria, they are now foreigners and outsiders to their homeland. This idea of belonging to two places and no place all at once resonated with me, as I’ve seen it second-hand with my father, and how he’s been living in this country longer than the country he was born in, and whenever we go back to visit Ecuador, he’s an outsider there now. It’s a feeling I’m sure many readers will find rings true. Adichie’s novel doesn’t necessarily provide answers or easy fixes to the issues discussed or the problems emigrants/immigrants face. Rather, she brings the discussions to light so that those who read the book may take on the conversation, the same way her characters have.